ayu = ayu fish = aroma fish Notes: Japanese fishermen tie knots around the necks of cormorants (black sea birds) and have them dive and catch these exquisite fish. They're very sweet and delicate. dog salmon See chum salmon. Hawaiian salmon See rainbow runner. humpback salmon See pink salmon. king salmon See chinook salmon. 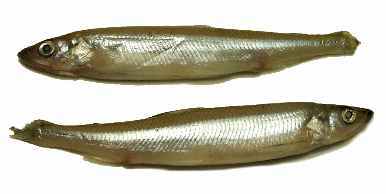 mackerel Substitutes: Spanish mackerel OR shad OR bluefish OR herring OR small trout Storage: Unopened canned mackerel can be stored for up to a year in a dry, cool place. Once opened, it will keep for up to two days if you wrap it well and refrigerate it. 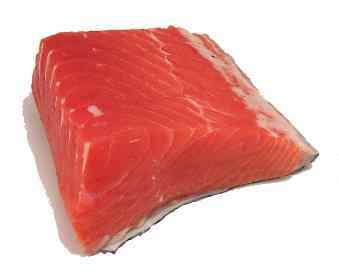 medium red salmon See coho salmon. salmon (see also coho salmon, chinook salmon, red sockeye, pink salmon, and chum salmon) Substitutes: swordfish OR mahi-mahi (milder flavor) OR albacore OR bonita OR marlin OR striped bass OR trout OR arctic char Storage: Unopened canned salmon can be stored for up to a year in a dry, cool place. Once opened, it will keep for up to two days if you wrap it well and refrigerate it. sardines Substitutes: anchovies OR smelts OR small herring OR small mackerel Storage: Unopened canned sardines can be stored for up to a year in a dry, cool place. Once opened, they will keep for up to two days if you wrap them well and refrigerate them. silver salmon See coho salmon. spring salmon See chinook salmon. 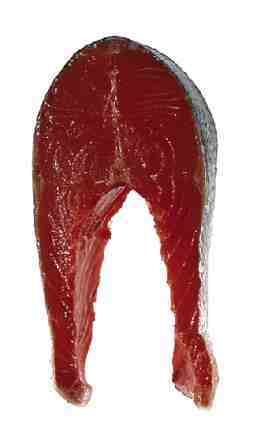 Copyright © 1996-2005 Lori Alden, Coho salmon, pink salmon, and Spanish mackerel photos adapted from U.S. Government photos.